and 6.30pm to 10.30pm, daily. EXPERIENCE Chinese New Year in style at Kuala Lumpur Golf and Country Resort’s China Treasures as it presents five set menus for the celebration. Featuring exquisite Cantonese cuisine, the promotion until Feb 22 was curated to give diners a sumptuous gastronomic experience. It is customary when sitting down to a Chinese New Year meal to enjoy yee sangand loh hei for a prosperous year ahead and this we did as we were treated to a five-course menu. As soon as we had enjoyed the Norwegian Salmon Yee Sang, the kitchen brought out the Braised Sea Moss Oyster Rolls with White Jade Shell and Broccoli (top pic). This very traditional dish is often featured during reunion dinners. 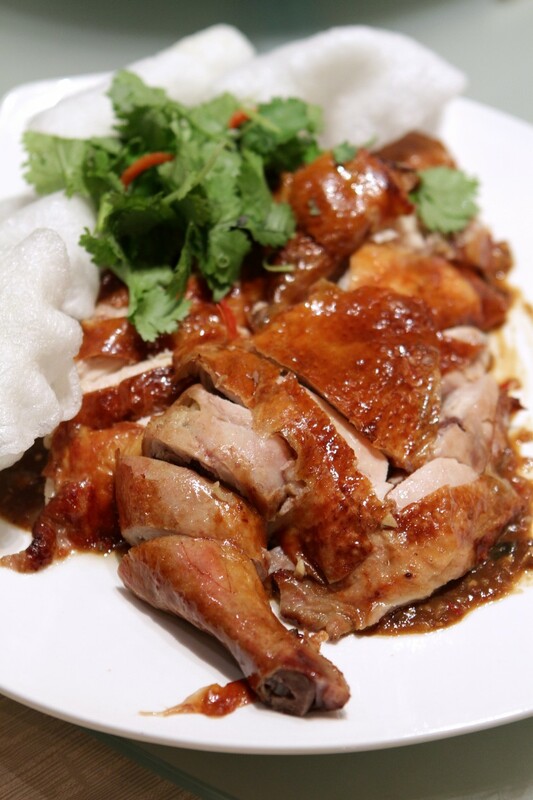 The crispy roasted chicken with Szechuan pepper hot sauce is perfectly cooked and flavourful. The Crispy Roasted Chicken with Szechuan Pepper Hot Sauce was next up. 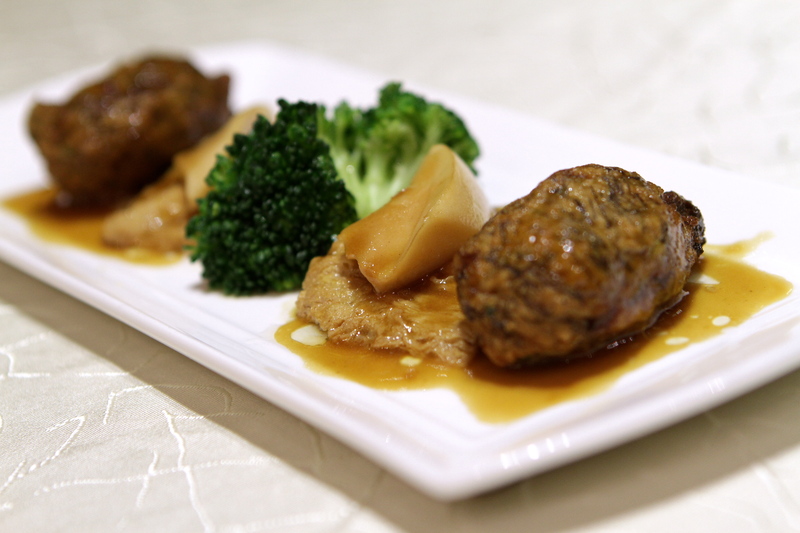 The chicken turned out to be an appetising dish, as restaurant executive Chinese chef Eddie Chua used a new method to prepare the chicken. “I stuffed chilli paste, Szechuan pepper, herbs, salt and pepper inside the chicken and let it marinade for one day before frying it,” he said, adding that the chicken was tender and moist when carved. 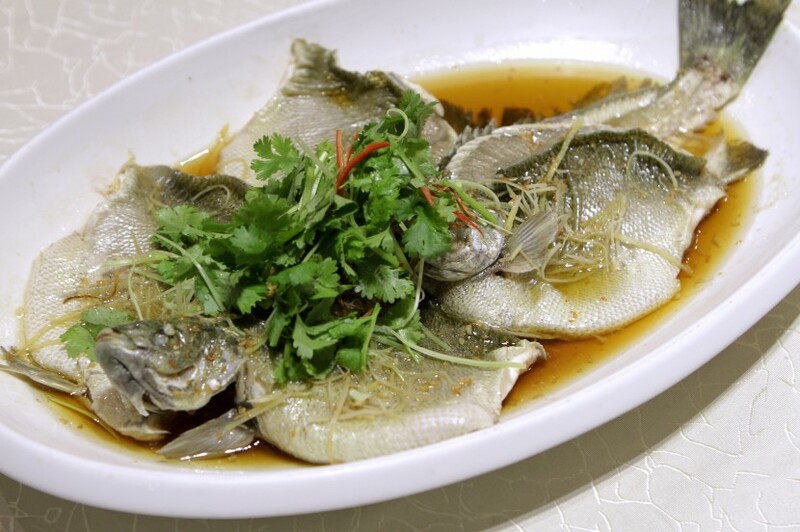 Another favourite of mine was the Steamed Australia Jade Perch Fish, which is an oily fish. Steaming is the best way to cook the jade perch, and the dish did not disappoint as I could taste the sweetness and soft flesh. The chef only used lime, ginger and salt to season the fish so as not to overwhelm the freshness of the fish. The steamed Australia jade perch fish is fresh. We also had Stir Fry Crystal Prawns with Honey Pepper Sauce. 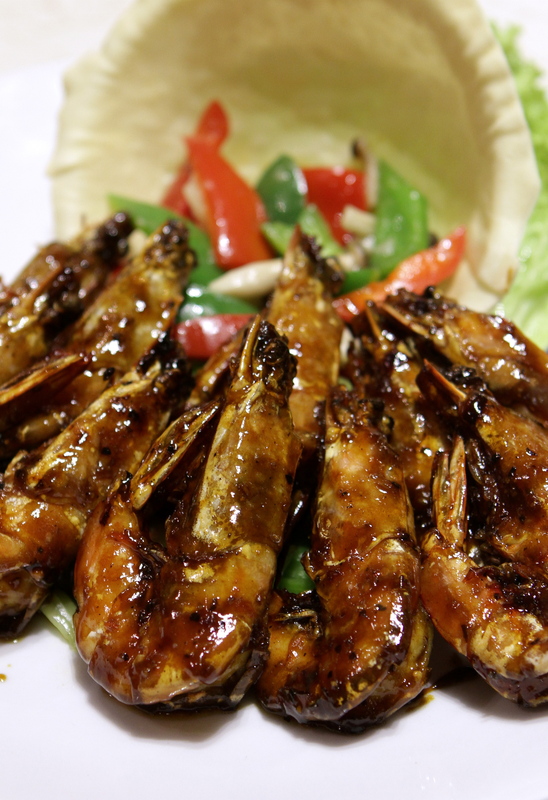 This simple sweet and spicy treat is made by mixing up honey pepper, soy sauce and oyster sauce to add flavour to the prawns. To pep up the taste further, Chua adds butter, onion and garlic to the prawns and tosses the ingredients together. The crispy prawns had a slight sweet and spicy taste. A Chinese meal often ends with rice or noodles and on the menu was the Yong Zhou-style Fried Rice. This tasty dish was cooked with eggs, soy sauce, salt and pepper, and topped with pieces of prawns and chicken. The Chinese New Year dinner menu starts from RM922.88 nett, and can cater for a table of six to 10 persons. The Wealth set menu, priced at RM3,288.88 nett, features items like Abalone and Norwegian Salmon Yee Sang with Chinese Pear, Double Boiled Bird’s Nest Soup and Braised Ten Head South African Abalone with Baby Sea Cucumber and Broccoli. For the Prosperity menu, priced at RM2,688.88 nett, there are dishes like Norwegian Salmon and Haruan Yee Sang with Chinese Pear, Double Boiled “kampung” Chicken Soup with Abalone, Dried Scallops and Mushroom, Crispy marinated Szechuan Duck and Steamed Tiger Prawns with Crispy Garlic. These two set menus come with a complimentary bottle of red wine. The nine-course Fortune menu is priced at RM2,188.88 nett and highlights are the Hong Kong-style Steamed Dragon Grouper Fish, Hot Soybean with White Fungus, and Lotus Seed and Ginkgo Nuts. There are also the Abundance and Happiness set menus for smaller groups. The Abundance set menu is priced at RM1,162.88nett (per table for six persons) and RM1,688.88 nett (per table for 10 persons), while the Happiness set menu is priced at RM922.88nett for six persons and RM1,288.88 nett for 10 persons. There are also a selection of yee sang such as Abalone Yee Sang, Norwegian Salmon Yee Sang, Fresh Haruan Yee Sang and Jelly Fish Yee Sang, ranging from RM91 to RM268.